Around the world, many have accepted the truth that American education can be expensive. Also, many accept that finding scholarships to fund an undergraduate program is akin to looking for a Sumatran tiger in its natural habitat: rare and hard to find. Financial problems dampen people’s spirits, resulting in a tendency to opt out from the pursuit of an American undergraduate education. What most people forget is even though it is hard and rare, it is not impossible for an international student, who requires financial support, to go to an American college to attain an undergraduate degree. Generally, American schools offer financial aid for their students. Prospective students are expected to send information about their family’s financial condition including parents’ income and family expenses. The aid is based on the school’s calculation of the family’s ability to fund their children’s college education. However, only a few schools offer financial aid or scholarships for international students and some of them are not need-blind. Ever since I was in elementary school, I have always wanted to go to school abroad. But I know that without any form of financial help, my parents would not be able to afford sending me to college outside of Indonesia. Knowing that the chance to get a undergraduate scholarship is very slim, I prepared myself to either rigorously research the subject or postpone the dream until it is time for me to attend graduate school. So when I was selected to be one of 80 Indonesian students to join the KL-YES program, I knew it was a great opportunity to explore American higher education first-handedly. I joined campus tours, set up meetings with my high school counselor, spent hours on numerous university websites, and contacted KL-YES program alumni who were pursuing their undergraduate degrees in America. Luckily, I had a chance to meet a KL-YES alumni who was a sophomore at one of America’s best liberal arts colleges, Wesleyan University. 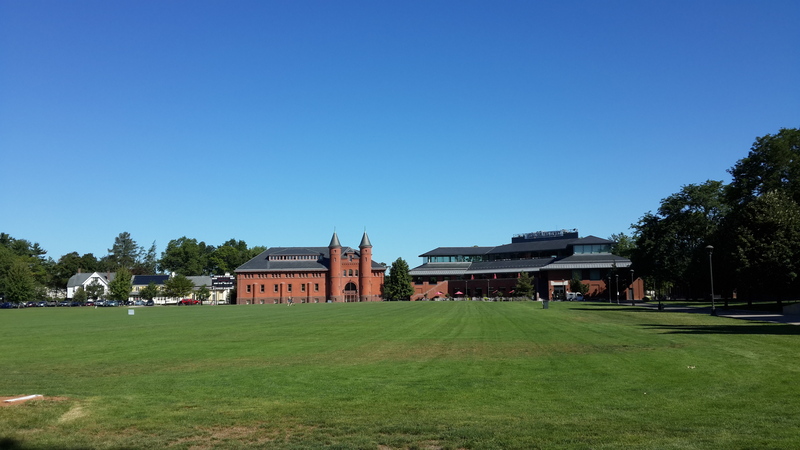 Wesleyan University, which offers the Wesleyan Freeman Asian Scholarship Program, is one of the few schools who offer a scholarship for 11 students from 11 Asian countries. 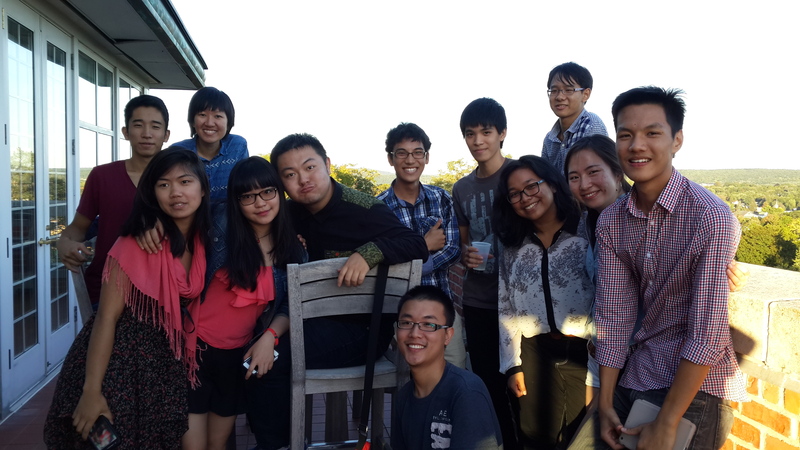 Along with students from Malaysia, Singapore, Vietnam, Thailand, the Philippines, People’s Republic of China, Hong Kong, Japan, Taiwan and South Korea, one Indonesian student can attend Wesleyan University with a one-hundred percent tuition scholarship for four years of undergraduate study. The Wesleyan Freeman Asian Scholarship Program is an initiative by Wesleyan University and Freeman Foundation. Freeman Foundation, the sponsor, is a private and philanthropic foundation, established through the legacy of Mansfield Freeman, a member of Wesleyan University class of 1916, by his son Houghton “Buck” Freeman in 1992. Mansfield Freeman was a businessman and co-founder of the American International Group, Inc. (AIG) who was also a prominent scholar in East Asian studies. His works and dedication to East Asian studies were honored by the University, aside from the Program, through the establishment of the Freeman Center of East Asian Studies. This year marks the twentieth year of the Program. Originally, the Program chose two students from each country to study at Wesleyan. Unfortunately, the financial crisis a few years back forced the Foundation and University to cut the participants by half, thus making this program even more competitive. Wesleyan Freeman Asian Scholarship is part of Freeman Foundation’s effort to strengthen and improve ties and understanding between United States and Asian countries. 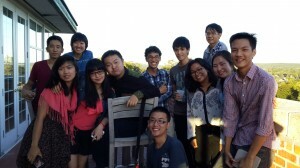 This program aims for the Freeman Asian Scholars to be leaders in their home countries. So what does it take to be a Freeman Scholar? According to the University, Wesleyan Freeman Asian Scholarship Program seeks students with good academic achievements, intellectual curiosity, high level of discipline and commitment, strong personal qualities, extracurricular involvement, and English language ability. The application process is similar to applying to other American colleges: prospective students are required to fill out the Common Application form online including compulsory University and Freeman Scholarship writing supplements, and submit their standardized test scores. Students must be in the final year of high school or not already enrolled in university because the Freeman Scholarship is not eligible for transfer students. Aside from that, students must also complete the Freeman Scholarship addendum. A lot of high school juniors have asked me about the most important factor to get the scholarship. I honestly don’t know. I was not my class’s valedictorian, nor the salutatorian. In all three times I did SAT general, only the last one reached 2000. There are so many factors that play in the admission process, and none of them are definitive. The most crucial thing, however, is to convince the admission committee of how determined you are to attain the scholarship and that you’re taking the process very seriously. I found the writing supplement to be a great way to show the committee about myself and what I am passionate about, as well as convincing them that I am the one they are looking for. After dealing with the application, what’s next? Generally, all the deadlines are January 1st as the Freeman Scholars cannot take Early Action or Early Decision. Candidates will be contacted around the end of February for an interview with alumni and a representative of the admission committee in their home country. For Indonesian Freeman Scholars candidates, the interview is usually held in Jakarta. The interview is designed to get to know each candidate more personally, so that the committee can see the candidate more clearly. It is also a chance for candidates to further present their reasons and experiences which may not fully represented in their application. After the interview, there will be a reception with candidates’ parents, alumni, alumni’s parents, and current scholars’ parents. It is a good opportunity to know life at Wesleyan! For us, international students who do not have a privilege to do a campus visit, the reception provides a more than adequate illustration of Wesleyan. Not only that, the reception is also a great opportunity to network with the amazing fellow candidates and alumni. After the interview and reception, the candidates will be electronically notified whether they are accepted, denied or wait listed on April 1st. The admission process is hard, and scholarship application process is even harder. But there is always a way for those who are determined enough to pursue what they want. Don’t be afraid to try and don’t forget to try hard! Aqila is a sophomore at Wesleyan University, aiming to pursue Economics and International Relations. She is a co-head of Freeman Asian Scholarship Association's Social Affairs Committee and a member of Wesleyan Entrepreneurship Society. 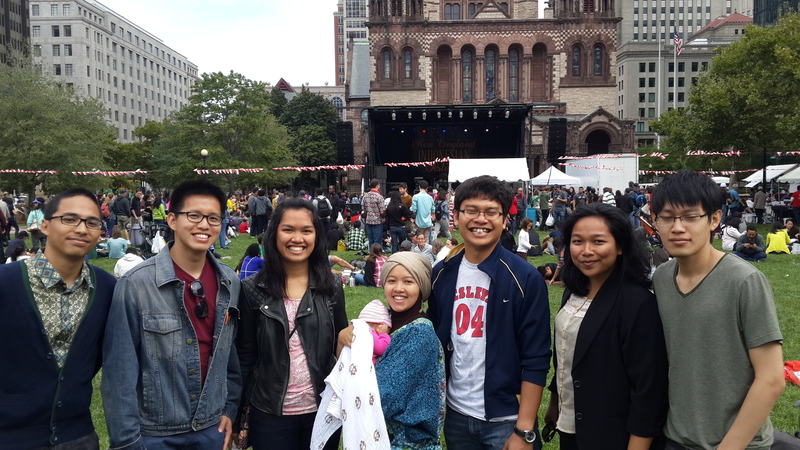 During her senior year, she took a gap year and spent it in New Hampshire, USA, as an exchange student under the Kennedy-Lugar Youth Exchange and Study (KL-YES) Program in 2012-2013. Her free time is spent by occasionally writing her thoughts for Magdalene.co or experimenting with flour, sugar, and butter in the kitchen.